Do you love the idea of experiencing the world with others but prefer smaller, more intimate group sizes? Tired of spending your precious vacation time waiting in line-ups, waiting for transport or just waiting for other travelers in general? Private Small Group Travel is one of the fastest growing travel styles, for many reasons. 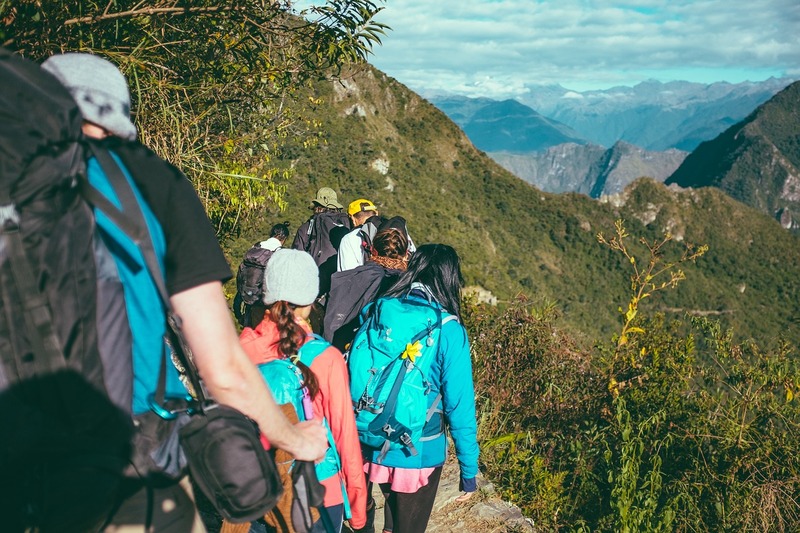 Private Small Group Travelers are able to step off the beaten path, delve deeper into their chosen destination and have a more customized travel experience, all the while enjoying the safety and security of traveling in a group setting. How ‘Small’ is a Private Group? As few as 8 travelers and as many as 30. This will depend on the destination, itinerary, travel style, and your preference. What are the benefits to travelling in a small private travel group? So how do I find these private small travel groups? Create them! Whether you’re a yoga enthusiast, part of a book club, sewing circle, cycling club, in the midst of planning an epic family reunion, or you’re the unofficial-official ring leader of your travel enthused friends, if you can gather 8 or more people together, you’ve got yourself a private small travel group! What if I don’t have a network or belong to any clubs or interest groups? Alternatively, if you’re not the leader type, and would rather just join a private group of like-minded travelers in your preferred interest area, keep your eye out for promoted specialized private group itineraries on my Facebook book, or on this website. This is why we’re perfect for eachother. This is where I make you, the group host, look like a rockstar! Whether you already have a group put together, or you’re still have a few naysayers who need some convincing, I provide everything you need to successfully get your group booked. Whether its an informational microsite/landing page, marketing materials (postcards, flyers etc), or you would like to organize an informational webinar, your group members will be well prepared for their trip. Furthermore, all accounting, invoicing, packing lists, destination information, thorough itineraries and document distribution details are taken care. What could be easier? Do I get anything out of being a group leader? How does traveling at a steep discount or FREE sound? Depending on your group size, and itinerary, your tour cost could be greatly reduced or even free (exclusions apply). You also get the opportunity to host your group without all the added stress of planning the trip, keeping track of all the details or handling logistics on the ground. How does my group benefit from booking with a Private Group Specialist instead of booking online? Booking travel online almost always means paying in full immediate. A Private Small Group Specialist has negotiated and secured contracted rates with suppliers and can allow for flexible payment options with manageable deposit amounts. Additionally, group space in hotels and on cruise ships is reserved together, making logistics easier on the ground. Your Private Small Group Travel members are treated like VIP’s, with access to unique itinerary options, personalized on-the-ground service, and a seamless booking experience. What kind of groups do you organize? There is a nominal deposit of CAD$50/USD$50 for the entire group that is applied to the group leader’s costs at time of booking. This small fee covers research time and overhead costs. No fees are charged for print marketing collateral, digital media or any required materials needed to promote your Private Small Group. Special information events may require rental/set-up/food/beverage fees. How do I get more information about booking a Small Private Group? Fill out the form below, with as many details as possible and you will receive a response within 24 hours.